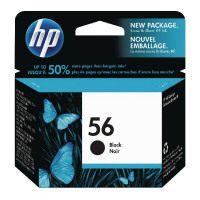 • Inkjet cartridge for HP printers. • Suitable for: Deskjet 5100/5160/5550/5600/5650/5652/5850/9600/Officejet 4105/4110/4200/5500/5550/5605/5607/5610/5615/6100/6110/Photosmart 7100/7260/7345/7350/7450/7459/7550/7655/7660/7755/7760/7762/7900/7960. • Page Life: 450 pages. Formulated to deliver rich, colour intense images this thermal inkjet cartridge guarantees professional quality results from the first page to the last. With a large page and character yield, this original deskjet cartridge provides both value for money and the quality you expect from HP. HP are the world leaders in printing innovation, holding hundreds of patents in ink chemistry and rolling out over 100 new inks in the last two decades. This product comes with a 450 page yield.